The world is ending...softly. 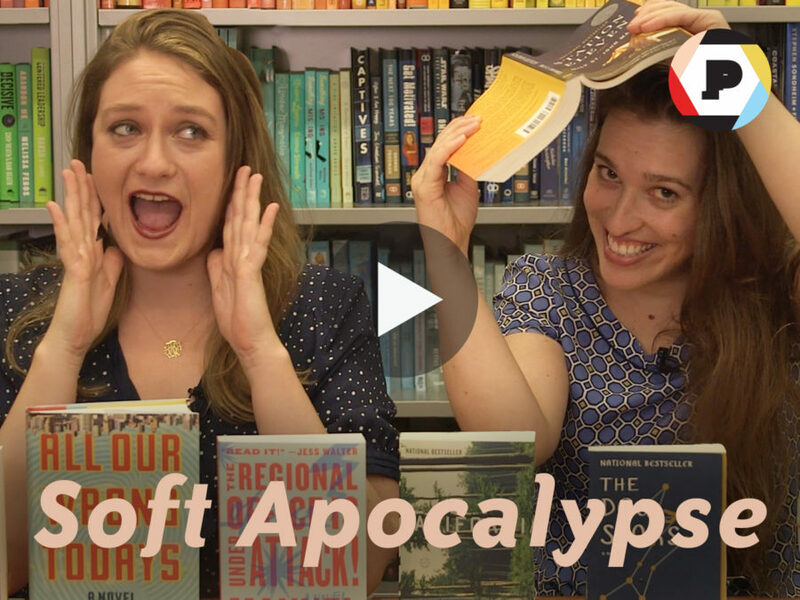 Emma and Abbe pick their favorite not-so-scary post-apocalyptic fiction. Books about the apocalypse are everywhere and authors imagine the future—and the literal ending of the world—in myriad ways. There are books that are solidly in the scary science fiction sector, where killer flu epidemics, atomic bombs or flesh-eating zombies wipe out the world’s population. But then there is a different kind of apocalyptic fiction—a softer one, shall we say? These novels are more literary in their writing and while they all take place at the end of the world, it’s not that bad. These novels all have important things to say about our lives today and what may become of us in the future. Watch the video below for Emma and Abbe’s favorite reads in this made-up genre. What books have you read that fall into this category? Tell us in the comments below so we can add them to our TBR pile!